I’ve had many jobs over the course of my career. I may not have enjoyed them all, but I am glad to have had the opportunity to execute the responsibilities associated with each. Each and every job made me feel as though I was doing work that mattered. In nearly all instances, the job I inherited existed before I arrived (e.g., someone else was doing it before me), but I can honestly say that the work I did while in each job was very different from the work my predecessor did. Same job, different work. Not necessarily better, just different (by design). It’s true in more cases than we realize. For some, the job is what matters; for others it’s the work that does. The jobs to which I was assigned were never the objective. The opportunity to do the work I wanted to do was and is. Living and working out here in Silicon Valley has really magnified the philosophical differences between jobs and work. Out here, some care deeply about solving problems that truly matter to the well-being of mankind, our nation, and/or our planet. While some are fixated on making lots of money doing things of little import in the big scheme of life. As I observe others both in and out of the military, I am amazed by the number of people who constrain their effort to the job to which they were assigned in favor of embracing the opportunity to do the work that truly needs doing. They hop from job to job padding their resume in a race for the next, many times leaving well before they were able to generate any work that truly mattered. At the same time, I am seeing pockets of the military exacerbate our shortfalls in operational and technical mastery by making upward mobility the mandate. This leads us to a model where those leading the charge will have never really done the work. They may have held the jobs that make them paper candidates for opportunity, but they haven’t the experience necessary to do the work that will need to be done in their next assignment. As I ponder the adult world my teenage son will soon be navigating, I hope we prepare him in such a way that he is not looking for a job. I hope he is committed to doing work that matters to him. There may or may not be a job that affords him the direct opportunity to contribute to a cause that motivates him. But job or no job, it’s on him to create an opportunity to do work that matters (and yes, I will do my darnedest to help). I may not have enjoyed every job I held upon arrival, but I most certainly left proud of, fulfilled by, and better for the work I delivered while executing the job. It’s not about the job. It’s the work that matters. We must make sure it matters…to us, to our teammates, to the world around us. Are you doing a job? 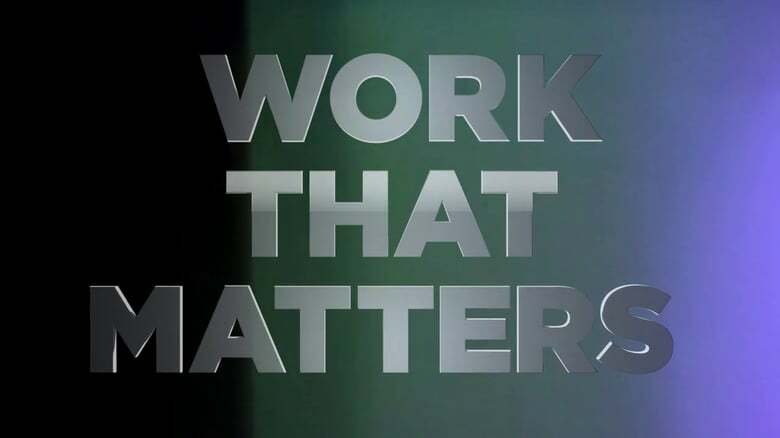 Are you doing work that matters? I ask myself these questions on a daily basis, and I’ve promised that if I answer “no” to any of these, I must leave. However, I tend to invest so much into my teammates (and the team), that I feel I can’t leave [just yet]. On some days, I feel trapped. The paradox is that my work truly does matter because of my investment. I know that anyone else could do my job, and probably much better than I am currently doing. But not everyone, nor can just anyone, do the work that I do — with the heart and soul that I put into my outcomes and my team[mates]. It is something to be proud of, and I am.